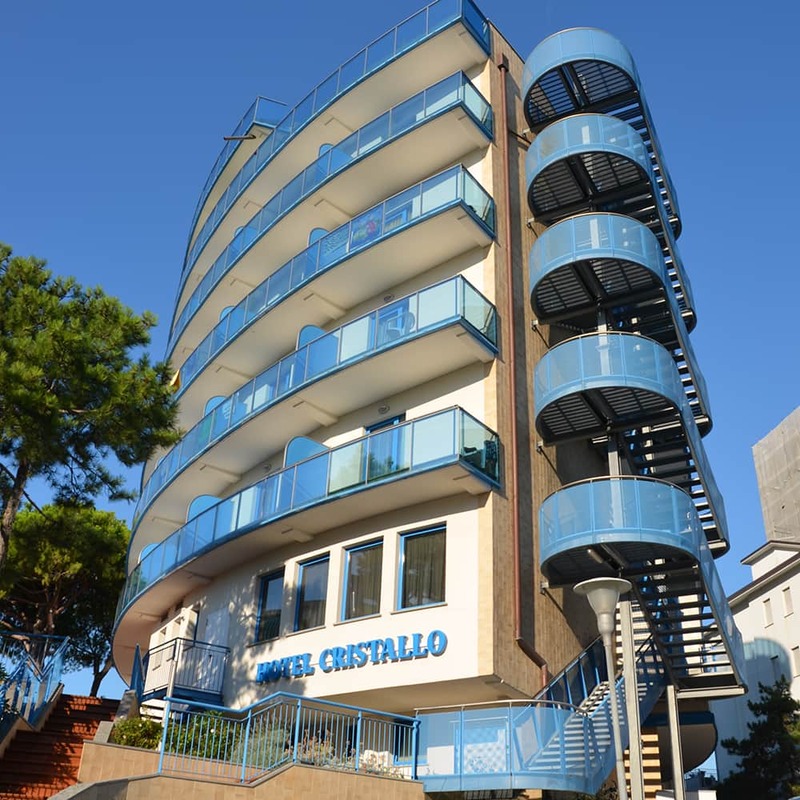 In the beautiful surroundinds of Lignano Sabbiadoro, The Cristallo Hotel is the ideal place for your beach holidays. At 200 metres from the finest sands of the Adriatic, The Cristallo Hotel enjoys an enviable position. Surrounded by a luxuriant nature, offers you the chance of a relaxing holiday where you will able to find harmony and psychophysical balance in a warm and welcoming atmosphere place. The stay at the Cristallo Hotel allows you to take advantage of the services covered by the professionalism and kindness, with a staff trained and ready to meet the best possible guest requests.